Earlies this summer I went to the Goodwood Festival of Speed (UK) for the first time in my life, and man was that a great event. Going back next year, I know that much. It’s difficult to describe what the event really is, because it’s a lot of things at the same time. But that’s also not very important, the only thing you need to know it’s 4 days of classic & sports car galore like you have never seen before. And give it to Lord March, the Festival of Speed is also one of the best organized events of that size I have ever been to. There weren’t many Mustangs at the event, apart from the “Bullitt” and P-51 you see above, but if you’re into cars you will like what I saw there. Here’s the link to my Flickr set, giving you a bit of an idea of the overall event. 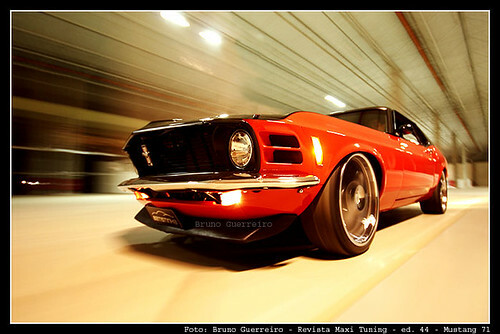 #22: 1969 Mustang. Homemade. From paper! 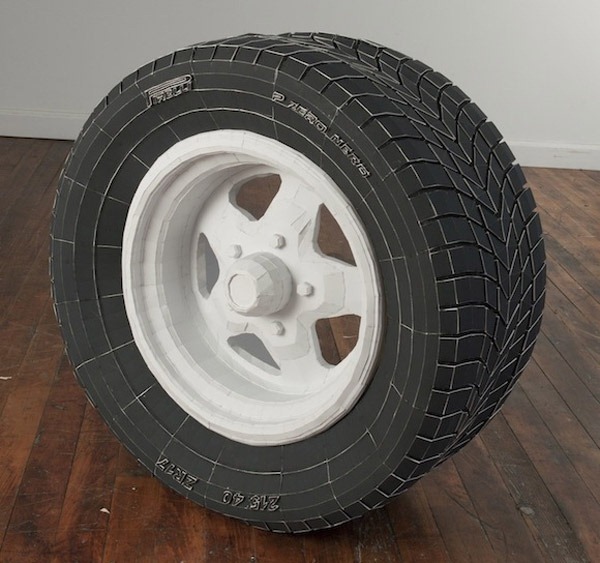 In his latest work One Piece at a Time, Brooklyn artist Jonathan Brand has constructed every single part of a 1969 Mustang coupe at 1:1 scale out of nothing but paper. 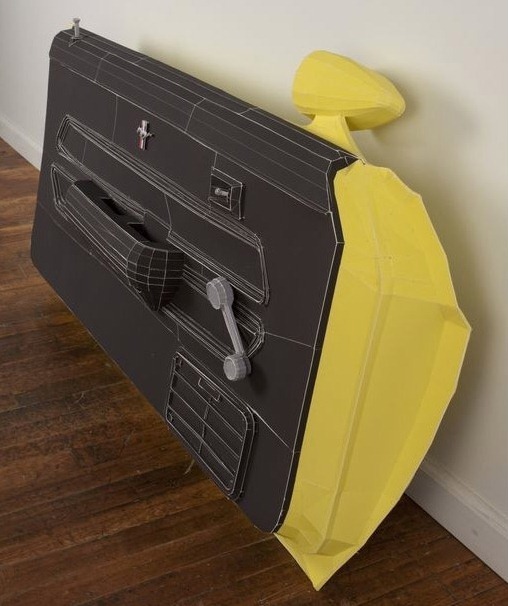 Using digital drawings as a source, he printed the blueprints with a large-format inkjet printer. 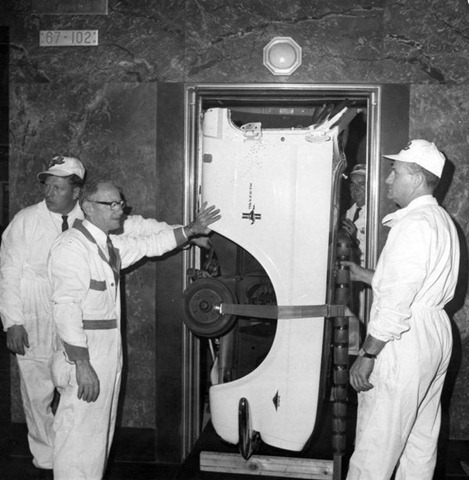 The components were then meticulously cut out and folded into a wide range of objects including spark plugs, nuts and bolts, a radiator, and even the individual tire treads. 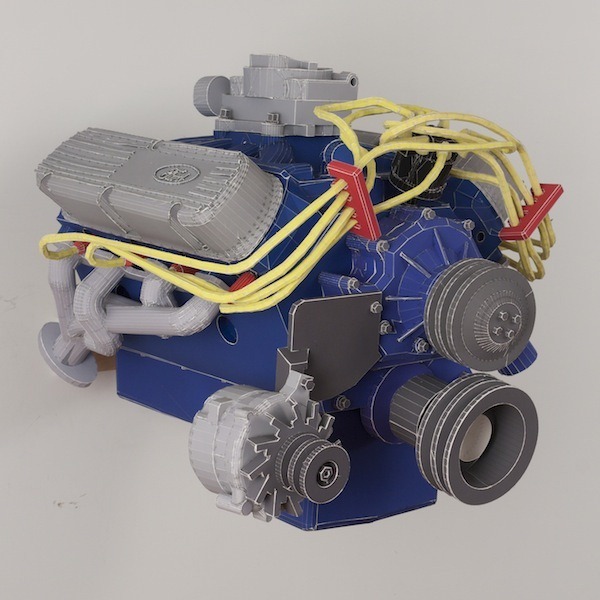 The final work will not be assembled into an entire vehicle, but rather displayed as loose miniature sculptures. Thinking back about the reason that I initially started this blog, this is a good one for the series of posts I wrote about ‘the quest’. Not sure if I have the patience for this though. But just look at this stuff, how cool is that, seriously. I gotta go see this! More pictures and video (!) at This is Colossal, go check it out. Two more weeks before the Barret-Jackson Scottsdale Auction is on. Barret-Jackson is famous for organizing ‘the world’s greatest collector car auctions’ (like they claim themselves) but I’m sure you Mustang lovers knew that already. 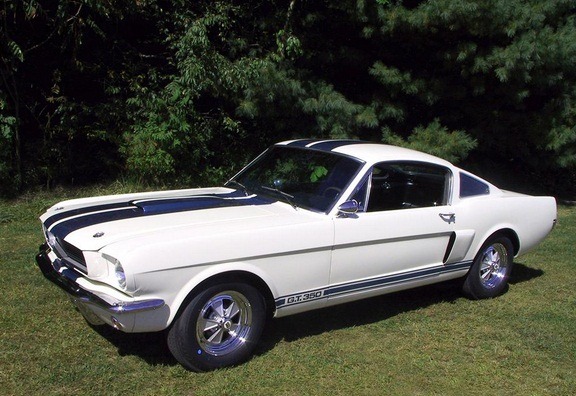 And as usual there are some unique Mustangs on auction amongst this edition, one of which is the first production 1966 Shelby built. 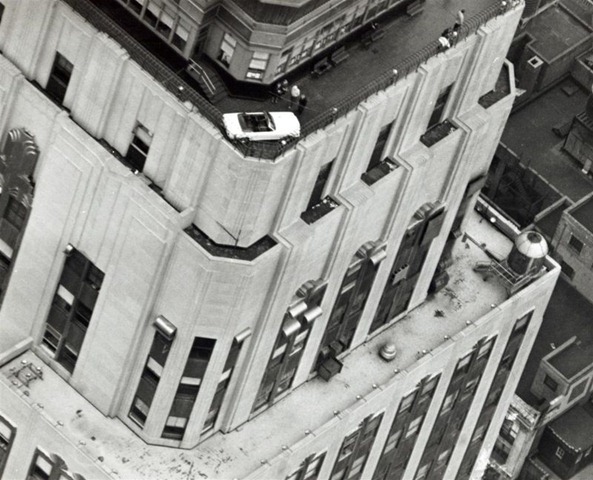 “In October 1965, with the Ford Mustang the hottest-selling car in America, the general manager of the Empire State Building had a great idea – to display a Ford Mustang on the 86th floor observation deck of the iconic Manhattan landmark. I love stories like this. Send me some more Leslie! And here are those of last year in Ghent, and last year in Antwerp. 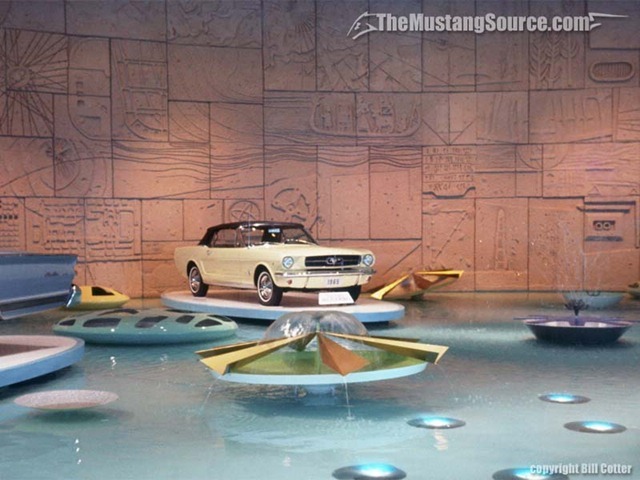 I’ve already blogged about the Mustang history a couple of times, with the mention of the Mustang launch at the 1964 New York World Fair, but never had the photos I wanted to go with that… I do now. 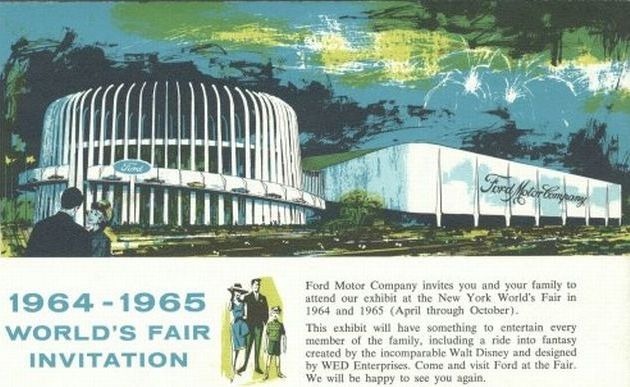 Here’s a photo of the Ford pavilion (courtesy of Mustang Source and copyright by Bill Cotter). More photos right here. Thanks to the Belgian Mustang Drivers. 1. Which of your own photos in the Flickr group you like most? 2. Is there a particular story around one of your Mustang photos that you would like to share? Something that happened when you took it? Or something related to the response you got on the photo so far? Well, all of these winter photos. It wasn’t winter at all. Just hoarfrost for 3-4 hours in the morning. And some haze. 3 hours later all the magic was gone and it was a rainy day. Lucky us, being out there at the right time in the right place. 3. Do you own a Mustang yourself? Which model? And would you like to have one if that’s not the case yet? Yes, the 1968 Coupé, Sprint Promotion B, you can see more photos here. 4. Do you have a specific love for photographing Mustangs? Or is a coincidence? Or a passion for cars in general? 5. Which one of the other photos (in the Flickr group) are you jealous of as a photographer? Good selection again. I really like Jan’s ‘winter’ series but also these night shots are pretty interesting, here’s one of those I like most. Don’t forget to check out all of Jan’s great Mustang photos in the Flickr group.